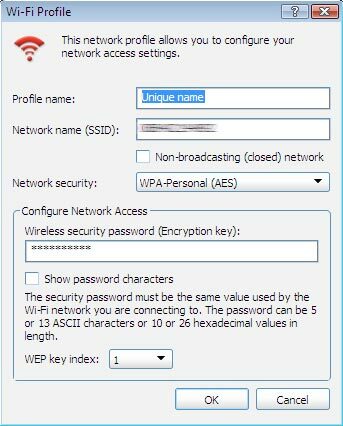 Local area Wi-Fi network information is needed to complete. Refer to the network administrator for additional assistance. Select the desired profile then click Edit. Make desired edits then click OK.